Today was Halloween. Eva was very excited because she got to wear her costume to school for a nice little Halloween Party. We saw later on the school’s Facebook page that there was a photo of the kids in their costumes and Eva was right there front and center in the shot. She was so excited about her costume and couldn’t wait to wear it. She went as a witch. A good witch. After school we went over to my parent’s house so that Eva and Andrew could show off their costumes and also so that Eva could visit with my Mom and sister. Eva had given them instructions on how to dress up for Halloween and they were in costume for her. I’m not allowed to post the photos, though. Andrew refused to put on any costume that we had for him, dinosaur… no, police officer… no he wouldn’t even put on the waitress outfit that he likes wearing from time to time. 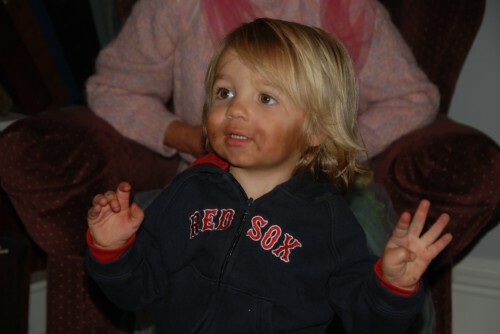 So, Allison put on his Red Sox Sweat Shirt and painted on a beard and he was totally happy to go like that. He was a big hit with my parents and all around the neighborhood, too. 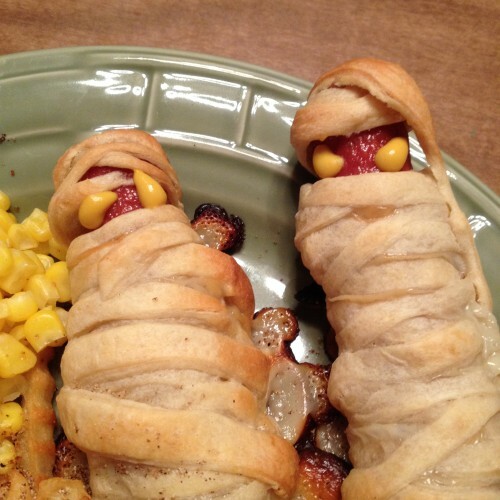 After our visit we went home and had a fun dinner of Pilsbury Mummy Hot Dogs. We had prepped them prior to picking up Eva from School. They were very easy to make and the kids got a kick out of them. We almost finished dinner before the first Trick-Or-Treater arrived. Almost. Dinner was finished up and we got the kids ready to go out. Allison manned the door and the candy bowl. 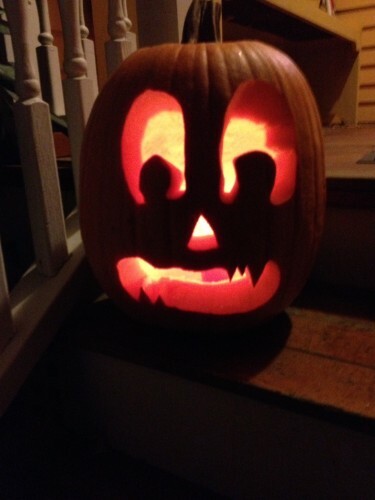 I also put out or pumpkin which I finially carved today. I took the kids up the street to visit some of our neighbors. They loved the kid’s costumes and were very generous with the candy. We hit 6 houses and Eva wanted to head home. She saw some costumes that scared her and she was done. Andrew would certainly have kept going because he has discovered a taste for candy. He also enjoyed grabbing candy from candy dishes. He must have gotten three times the candy that Eva did because he’s two and people just let him go and grab what he wanted. Also it was a light night all around anyway and people just wanted to get rid of their candy. Andrew was more than happy to lighten their loads. 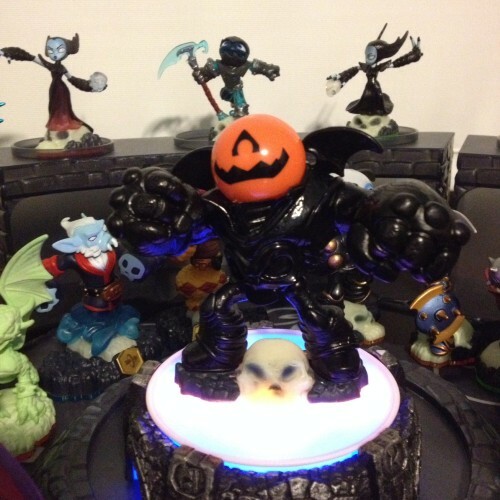 I posted a ton of Skylanders videos over the past week and today all the Undead figures went live. One of the figures was the Pumpkin Eye Brawl.